Signs and symptoms of drug and alcohol problems vary from one person to the next, depending on the environment and the substances they use. 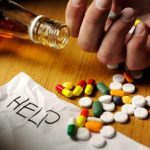 However, there are a number of constants that might potentially indicate that one’s loved one is suffering from alcohol or drug addiction. To understand the significance of the subtle signs of addiction, it is important to know what it is. Addiction is the psychological and physiological need to keep on using a certain substance, often despite the harmful and dangerous effects. Signs of addiction do not appear in every single case, but when they do, they are worth responding to and dealing with through treatment. 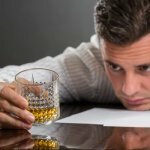 In alcohol abuse and dependency cases, some people might not realize it, but one of the most common signs is the intense craving to partake. Over time, the abuser becomes accustomed to the persistent presence of the drug, and ends up building such a tolerance that they need more of the drug to achieve the desired effect they are used to. When an individual is addicted, the changes in the brain and body physiology are such that the individual is often left functioning less than optimally without the influence of the drug. When the person attempts to stop or reduce the use of the drug, they might experience withdrawal symptoms. 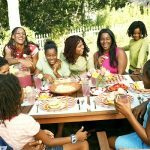 The fact that they are not or cannot operate at 100 percent often has them withdrawing from family, friends and even workmates. Isolation can come from the perceived stigma, depression or paranoia. Addiction messes with the pleasure centers of the brain, so much so that the individual only feels pleasure when they are under the influence, never caring about anything else. The result of this is that they disregard other important aspects of their lives and focus only on the drug use. They spend so much time and energy on the search for their drug of choice that they forget about work or family responsibilities. Addiction might also end up leaving them in financial trouble, forcing them to go outside their budgets to get the drug. In many scenarios, individuals who are addicted to drugs or alcohol often want to hide the effects of the addiction from their close family. The physical effects might not be too apparent, but little behavioral changes could be an indication of something wrong. Addicts might end up stealing and lying, engaging in unsafe sexual behavior, keeping unhealthy friendships and hanging out with people with similar traits. They might even go as far as engaging in dangerous criminal activity and selling drugs, offences that might land people in jail. When a close family member is addicted, it is a difficult situation. Feelings of anger and confusion abound, but there is also the realization that the only way they can get through this is through support from the closest people around them. 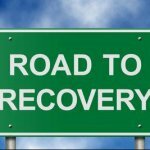 Still, the only way to a healthy recovery is by making them realize they need help. Go to Arise Network for resources and tips on how one can get help in situations like these.